Equitymaster Insider is Ankit Shah's daily premium newsletter who cherry-picks the best investing Ideas from across the Equitymaster research network. Every day the markets are open, Ankit Shah - one of our lead research analysts at Equitymaster - carefully observes what's going on in the markets and in the world news. With Equitymaster Insider, Ankit's goal is to give you at least 1 solid, actionable idea every week. Of course, he will write to you 5 days a week. But with one stock or trade recommendation a week too... that's around 48 actionable ideas a year! There could be weeks where he could have several ideas...and others where he would still discuss great ideas but they may not actionable. He won't ever force anything if the opportunity isn't right. He will write to you about what is going on in the markets every working day of the week…and his aim will be to share ONE best investment ideas from Equitymaster's research every week. Now, of course, he will not be giving you everything we publish. That's not the idea here - and that's why you get to save massively. If you're already overwhelmed with trying to keep up with ALL the news that could move markets these days, Ankit's notes and ideas in Equitymaster Insider will be a huge relief. Just a short, write-up on what we think is the very best idea in the market, given the current market condition. Combine that with actionable recommendations from our premium services, you could have the opportunity to live a wealthier life, simply by putting in Just 5 minutes a day, 5 days a week. Note: *The number of premium publications that this service covers could change. Most likely, we expect the number to grow over time. Equitymaster Insider is a premium daily newsletter that offers cherry-picked investing ideas and macro insights from our entire network of Equitymaster analysts and big-picture experts. 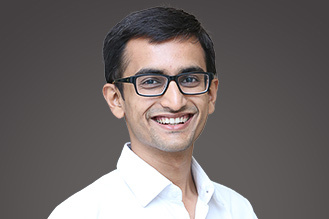 Ankit Shah (Research Analyst), the editor of Equitymaster Insider, has access to a wealth of investing ideas and insights from his entire team of research analysts at Equitymaster as well as his network of big-picture experts in India and overseas. This covers 10 of Equitymaster's premium services including some of the best long-term investing approaches, trading strategies, alternative investments, and big-picture insights. Through Equitymaster Insider Ankit is going to scour the wealth of investing ideas across a dozen recommendation services. And he's going to cherry-pick the best investing ideas for his readers. Why should I sign up for Equitymaster Insider? Equitymaster Insider gives you the unique opportunity to traverse the entire Equitymaster research network. You will have the chance to explore a range of investing strategies and trading techniques on a single platform without having to pay individually for each of those premium services. Which premium services does Equitymaster Insider has access to? #2 Peak Profit Alert - Apurva Sheth's premium stock recommendation service based on his proprietary SCOREFASTTM system that identifies stocks on the cusp of long-term reversal. #4 Profit Hunter Pro - Apurva Sheth's premium newsletter that identifies high potential trading opportunities based on a combination of fundamental and technical analysis. The editor of Equitymaster Insider will cherry-pick investing and trading ideas he considers to be the best given the prevailing market conditions. Do note that Equitymaster Insider does NOT have access to our premium service Phase One Alert. Who is the editor of Equitymaster Insider? Ankit Shah is the editor for Equitymaster Insider. A journalism graduate turned Research Analyst, Ankit joined Equitymaster when he was just 23 years old, right after getting his MBA from NMIMS, Mumbai. Having been an avid reader of Equitymaster's research through his college years, Ankit knew he would fit right in! Right to launching his brand-new service, Equitymaster Insider. Born and brought up in Mumbai, he now prefers to keep away from the noisy megapolis as much as possible. In any given month, you could find him exploring the ancient ruins of South America, the beaches of South East Asia, or the organic cafes of Pondicherry.